Today I came across a series of drawings of Byzantium which were all made by French artist Antoine Helbert. They may be found here. The one that caught my attention was this one, showing columns with the statues of emperors atop them, in the Augustaion outside Hagia Sophia. 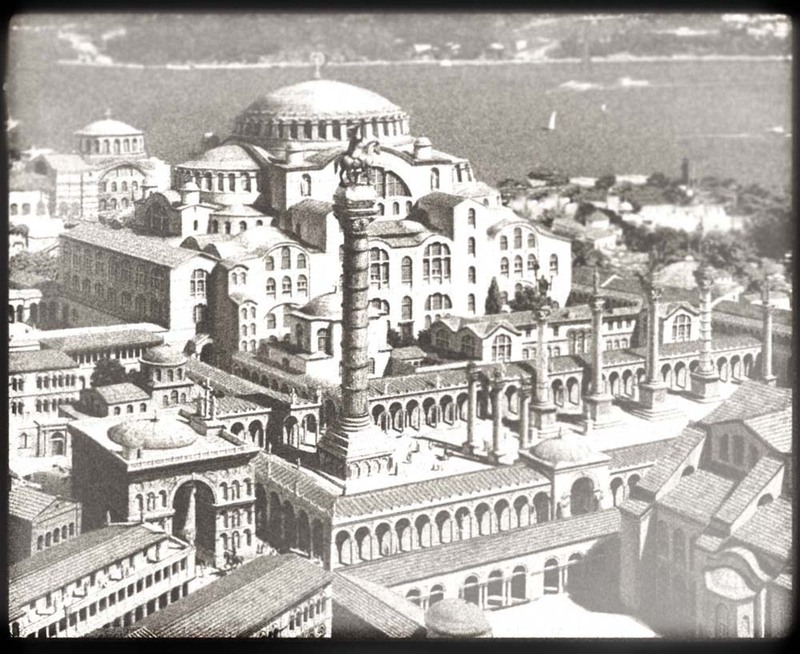 It gives a very nice context to the famous statue of Justinian. At first I thought it was an old photograph; but of course that would be impossible. It is magnificent! There are very many more. Some will be familiar – often passed around the web without attribution.